Kevin Howard is one of the more prolific architects of luxury homes in Arizona, creating homes that draw on traditional architecture but incorporate modern detail. A native of the state, Howard focuses on site-specific work that incorporates the beautiful but unforgiving desert landscape. This four-bedroom home in Pima Canyon was crafted to capture he beauty of the mountains and desert. Soaring floor-to-ceiling windows frame the Catalinas and beautiful outdoor space in some of the maining living areas and clerestory windows provide ribbons of light. Rustic rock walls bring the outside in. 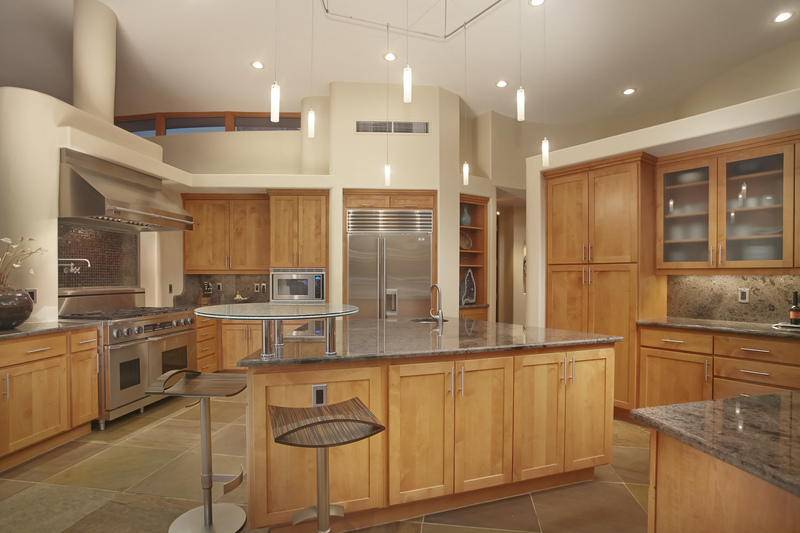 The open floor plan flows seamlessly from the great room to the kitchen and family room. The kitchen is a chef’s dream with a commercial Decor range, two Fisher & Paykel dishwashers, granite island and more. The master suite with a stone fireplace features a huge closet and serene spa-like bath. Three guest suites with en-suite baths are in a private wing. The resort-style back yard with stone fireplace and outdoor kitchen is ideal for enjoying the best of the Tucson lifestyle. This home is listed for $1.795 million with Long Realty, an affiliate of Luxury Portfolio International.